There are some biblical discussions by so called experts even misleading too often and done by lazy persons who do not give a full honest presentation, these biblical discussions are clearly absurd, ridiculous, where there here are many different, conflicting even points of view now from them.. even on subjects such as such as did Jesus drink wine? Can a Christian drink wine, Smoke? Was Jesus a Rabbi? Did Jesus really have long hair? Should a women’s hair be covered when she prays or men for that matter? Can a women be a preacher? And why are many of the conclusions now so absurd is cause many of the experts , people use their own human logic, personal reasoning, have hidden agendas, and mostly they really are not being led by the Holy Spirit in the matters. Some experts too often like to quote especially the support of the supposedly existing cultural, traditions existing from the time of Christ, but such an approach is generally false since there are almost now very few existing old writings, historical documents, 2000 years old manuscripts even. It is better to stay directly with what the New Testament says itself generally now.. .
Paul clearly was explaining why the women in the church, in his days, the women were told to have a covering of long hair, not a veil over their hair, especially in public places when they prayed or prophesied, as a show of of humility, submission and to even distinguish themselves from prostitutes who tended to wear short hair. Note while a woman’s hair is her “covering” it can only be considered a covering if it is long enough to do this and she is also in true subjection to her husband, and too often that truth is debatable too. . I Corinthians 11:2-16, Paul is primarily explaining the issue of hair lengths for women. He describes four different lengths: Covered (long hair); not covered (short hair); shorn (very short hair); and shaved (bald). “But every woman that prays or prophesies with her head uncovered dishonors her head: for that is even all one as if she were shaven. For if the woman be not covered, let her also be shorn: but if it be a shame for a woman to be shorn or shaven, let her be covered.” Paul is saying that if a woman’s hair is not long enough to cover her head, it is the same as if her hair was cut very short or if she was shaved bald! Here now there is no difference between uncovered, shorn and shaven! I also do specifically know of a wife who was planning falsely a divorce and the first thing she did was not to visit a lawyer, but she cut her hair short without even telling him too, a clear sign of rebellion, unsubmissiveness to her husband. There is also another reason a woman’s hair should be long: “For a man indeed ought not to cover his head [have long hair], forasmuch as he is the image and glory of God: but the woman is the glory of the man. For the man is not of the woman; but the woman of the man. Neither was the man created for the woman; but the woman for the man. For this cause ought the woman to have power [long hair showing she is under authority] on her head because of the angels” (I Cor. 11:7-10). But how long does a woman’s hair need to be in order for it to be a “covering”? The word cover provides the answer. A woman’s hair must cover her ears and neck to be considered a covering.” (However, this is not to say that it cannot be worn up in a way that does not always cover her ears and neck.) This is because these are the first two features of the head to be covered as hair grows significantly longer. Most hair lengths are appropriate if long enough to be a covering and if the way one’s hair grows is taken into consideration. Most styles are acceptable as long as they are clean-looking, in good taste, modest and feminine-looking for as true Christians we should never appear strange or outlandish in actions, attire or the way we wear our hair. Instead, our whole attitude should be one of modesty, humility, submission and service to God. In the Hebrew Bible, a Nazirite or Nazarite, (in Hebrew: נזיר, nazir), refers to one who voluntarily took a vow described in Numbers 6:1–21. The proper noun “Nazarite” comes from the Hebrew word nazir meaning “consecrated” or “separated”. This vow required the man or woman to:Abstain from wine, wine vinegar, grapes, raisins, intoxicating liquors and vinegar distilled from such substances. *Refrain from eating or drinking any substance that contains any trace of grapes.Refrain from cutting the hair on one’s head; but to allow the locks of the head’s hair to grow. Not to become impure by corpses or graves, even those of family members; Now Jesus Christ being from Nazareth makes him a Nazarene and not a a Nazarite like his cousin John the Baptist. Taking a Nazarite vow makes one a true Nazarite. A Nazarite should also abstain from strong drink (wine containing alcohol). It is possible for Jesus to have been a Nazarite, due to the fact that he did abstain from drinking strong drink (wine containing alcohol). , which he would have to do in order to keep an Nazarite vow and he also would be not to put a razor to his head. Do Jesus would have long hair. then Elizabeth, John the Baptist’s mother was cautioned by an angel, as was Samson’s mother told to abstain from certain dietary no-no’s namely strong fermented grape juice and unclean meats. , During the Jewish wedding, He Jesus had turned water into wine (pure grape juice-without fermentation). Yes we can be assured the Jesus still never ever consumed any alcohol even if Jesus did make the best wine in those days but it was a pure fresh grape juice , non alcoholic, it was unfermented,. It must first be said that men having short hair and c lean shaven as being the supposed norm in the time of Jesus Christ is pure speculation.. as no historical wrings do really confirm this.. Most artistic statues from that period do show men with short hear.. so what? It does not prove anything. God still does not consider it a shame for men to have long hair. As the Nazarites had long hair. If God, really hated long hair on men, then he had also hated long hair on Samson. But the fact is Samson he only lost God’s favor when he cut his hair contrary to God’s instructions not to do so. God is more interested in the state of our hearts than our physical appearance. There are some believers who today do still believe it is a shame for a man to have long hair despite the hypocritical fact that even these days most married women in the church do not even cover their heads and/or tend to have long hair. By the way why do artists like to show Jesus with long hair, they like to portray him as undeniably always submissive to God, the long hair portrays this.
. But why do many women even today like to wear short hair, undeniably they like to be equal with men, to compete with them.. The way I see it here too as per Proverbs 21:19 It is better to dwell in the wilderness, than with a contentious and an angry woman. James 2: 1 My brethren, have not the faith of our Lord Jesus Christ, the Lord of glory, with respect of persons. 2 For if there come unto your assembly a man with a gold ring, in goodly apparel, and there come in also a poor man in vile raiment; 3 And ye have respect to him that weareth the gay clothing, and say unto him, Sit thou here in a good place; and say to the poor, Stand thou there, or sit here under my footstool: 4 Are ye not then partial in yourselves, …and are become judges of evil thoughts? 5 Hearken, my beloved brethren, Hath not God chosen the poor of this world rich in faith, and heirs of the kingdom which he hath promised to them that love him? 6 But ye have despised the poor. Do not rich men oppress you, and draw you before the judgment seats? 7 Do not they blaspheme that worthy name by the which ye are called? 8 If ye fulfil the royal law according to the scripture, Thou shalt love thy neighbour as thyself, ye do well: 9 But if ye have respect to persons, ye commit sin, and are convinced of the law as transgressors. 1 Peter 3: 1 Likewise, ye wives, be in subjection to your own husbands; that, if any obey not the word, they also may without the word be won by the conversation of the wives; 2 While they behold your chaste conversation coupled with fear. 3 Whose adorning let it not be that outward adorning of plaiting the hair, and of wearing of gold, or of putting on of apparel; 4 But let it be the hidden man of the heart, in that which is not corruptible, even the ornament of a meek and quiet spirit, which is in the sight of God of great price. 5 For after this manner in the old time the holy women also, who trusted in God, adorned themselves, being in subjection unto their own husbands: 6 Even as Sarah obeyed Abraham, calling him lord: whose daughters ye are, as long as ye do well, and are not afraid with any amazement. Now I have been in too many churches where they falsely demand that you always dress on Sunday your best clothes and most of these churches were spiritually dead.. and the most spiritual churches I have been in my life, people came mostly in jeans, dressed casually, dressed in their ordinary every day clothes.Not as Sunday religious Hypocrites rather.. Now one day I bought a nice new coat to wear to church and I thought this would please Jesus.. I had even asked him as to what he thought of my new coat. and he replied” I do not look at the man’s appearances but as his heart. In fact I had taking for years with many members of my church the train to work, and I noticed that the people who worse their Sunday clothes that differed great from what they wore to work where in actual fact the biggest hypocrites in my church. Now I have also gone to work on a bus, dressed causally and no one said hello to me, but when I wore a suit many ladies said hello.. but I saw them as immoral persons who judge me on outward appearances. I had been to a new church dress causally for a whole month and no one there said hello to me, so I prayed to God and asked him why. God said to me they were prostitutes and whores, they judge a person on outward appearances.. so next week to prove this I went to church dressed nicely and the ladies next had talk to me. They were prostitutes after all.. By the way I do not even own a suit and have not done so the last 30 years too. In the book of Hebrews, Jesus is called a High Priest (Hebrews 2:17; 4:14). Surely our griefs He himself bore, and our sorrows He carried; yet we ourselves esteemed Him stricken, smitten of God and afflicted. (Isaiah 53:4). Since then we have a great high priest who has passed through the heavens, Jesus the Son of God, let us hold fast our confession. (Hebrews 4:14). . Within the past old religion of the Jews,Judaism, there was no more exalted position that could be held among men than that of the high priest. Now He was a;so the head of the Sanhedrin, the supreme court of Israel But the most important task of the high priest took place on Yom Kippur — the Day of Atonement. It was on this day that the high priest would enter into the innermost part of the temple and make a yearly sacrifice for the sins of the nation. In the Letter to the Hebrews, the author affirms that Jesus’ high priesthood is according to the order of Melchizedek, which means that it is more ancient and superior to the Levitical high priesthood, founded on Aaron, the brother of Moses.;. “The office of High Priest is only one of the many titles applied to Jesus: Messiah, Savior, Son of God, Son of Man, Friend of Sinners, etc. Each one focuses on a particular aspect of who He is and what that actually now means for us. ; Luke 2”11 For unto you is born this day in the city of David a Saviour, which is Christ the Lord. Note Jesus is both to be a savior and Lord of your life now too and not eventually.. . The word “priest” carries a couple of various meanings. First, it means one who participates in religious prayer services. It also means one who is specially set apart to perform those services, including ,making the needed sacrifices. Now the Levites were also clearly identified as the servants of the Tabernacle;with the family of Aaron becoming the priests. The priests were responsible for making intercession to God for the people by offering the many sacrifices that the law required. Among the priests;one was selected as the High Priest;and he entered into the Most Holy Place once a year on the Day of Atonement to place the blood of the sacrifice on the Ark of the Covenant (Hebrews 9:7) . By these daily and yearly sacrifices;the sins of the people were temporarily covered until the Messiah came to take away their sins. ; Amd every priest is appointed from among men, Jesus, though God from eternity, himself now became a man in order to suffer death and serve as our High Priest (Hebrews 2:9). As a man, He was subject to all the weaknesses and temptations that we are, so that He could personally relate to us in our struggles (Hebrews 4:15). . Jesus is also greater than any other priest, so He thus is called our “Great High Priest” in Hebrews 4:14, and that gives us the boldness to come “unto the throne of grace, that we may obtain mercy, and find grace to help in time of need” (Hebrews 4:16 KJV). ;”Christ the high priest did not have to make a yearly sacrifice for the sins of the nation, He did it once and all the sins were paid forever. Mark 1538 And the veil of the temple was rent in twain from the top to the bottom. Hebrews 10:20 By a new and living way, which he hath consecrated for us, through the veil, that is to say, his flesh; Luke 22: 69 Hereafter shall the Son of man sit on the right hand of the power of God. Hebrews 1:3 Who being the brightness of his glory, and the express image of his person, and upholding all things by the word of his power, when he had by himself purged our sins, sat down on the right hand of the Majesty on high; Hebrews 8:1 Now of the things which we have spoken this is the sum: We have such an high priest, who is set on the right hand of the throne of the Majesty in the heavens; Hebrews 10:12 But this man, after he had offered one sacrifice for sins for ever, sat down on the right hand of God; 1 Peter 3:22 Who is gone into heaven, and is on the right hand of God; angels and authorities and powers being made subject unto him. Colossians 3:1 If ye then be risen with Christ, seek those things which are above, where Christ sitteth on the right hand of God. ; Also the New Testament also teaches that the Mosaic Law. the Law, was in effect until the very moment of Jesus’ death. , “For Christ is the end of the law for righteousness to everyone who believes” (Romans 10:4). The “end of the law” occurred at the moment of Jesus’ death: “[Jesus] has taken it out of the way, having nailed it to the cross” (Colossians 2:14). .
Was Jesus Really a Rabbi? ; Clearly no, contrary to what even any Messianic Jews would lie and try to tell you, as he Jesus was not directly ordained as such by the local Synagogues .The term Rabbi was employed after the fall of the temple in 70 ad as there now were no longer any Levitical priests. It is also interesting that the term rhabbi also does not occur in other Christian writings even for the last 2000 years. But some would disagree playing on words” We know from the gospels that Jesus was sometimes called “Rabbi” by His followers (the term literally means, “My teacher, my master”), just as John the Immerser (John the Baptist) was called “rabbi” by his followers (for the latter, see John 3:26). , ; He is also addressed as rabbi in Matthew 26:25, 49; Mark 9:5; 14:45; John 1:38, 49; 3:2; 4:31). although it was only after 70 A.D. that רַבִּי (raBI, my master, my teacher) became a formal title for a teacher, and therefore it is anachronistic to speak of Jesus as a “rabbi,” this term may be more helpful than any other in conveying a correct image of Jesus to the average Christian reader. Jesus was recognized as a teacher in his day and as such was addressed “raBI,” the polite form of address to a teacher. “ “ In the New Testament rhabbi occurs only in the Gospels. Matthew 23:5-7 censures the scribes for desiring the title. The Baptist is called rhabbi in John 3:26. Jesus is called rhabbi by Peter in Mark 9:5 and Judas in Mark 14:45. The term didaskalos in Mark 4:38; Mark 9:17, etc. has the same force. John explains the use in John 1:38. Jesus is addressed as rhabbi in John 1:49; John 3:2; John 4:31; John 6:25; John 9:2; John 11:8. rhabbouni in Mark 10:51 and John 20:16 is an alternative form. The use of rhabbi shows that Jesus is viewed as a teacher by his disciples and the people. He differs from an ordinary scribe in that he chooses his own disciples and teaches authoritatively. Since the disciples never become rabbis as Jesus is, he also has a unique status as their kyrios (Mathew 8:25-27; Matthew 20:32-34). “. Matthew 10:5 These twelve Jesus sent forth, and commanded them, saying, Go not into the way of the Gentiles, and into any city of the Samaritans enter ye not: 6 But go rather to the lost sheep of the house of Israel. 7 And as ye go, preach, saying, The kingdom of heaven is at hand. 8 Heal the sick, cleanse the lepers, raise the dead, cast out devils: freely ye have received, freely give. 9 Provide neither gold, nor silver, nor brass in your purses, 10 Nor scrip for your journey, neither two coats, neither shoes, nor yet staves: for the workman is worthy of his meat. 11 And into whatsoever city or town ye shall enter, enquire who in it is worthy; and there abide till ye go thence. 12 And when ye come into an house, salute it. 13 And if the house be worthy, let your peace come upon it: but if it be not worthy, let your peace return to you. 14 And whosoever shall not receive you, nor hear your words, when ye depart out of that house or city, shake off the dust of your feet. 15 Verily I say unto you, It shall be more tolerable for the land of Sodom and Gomorrha in the day of judgment, than for that city. 16 Behold, I send you forth as sheep in the midst of wolves: be ye therefore wise as serpents, and harmless as doves. 17 But beware of men: for they will deliver you up to the councils, and they will scourge you in their synagogues; 18 And ye shall be brought before governors and kings for my sake, for a testimony against them and the Gentiles. Also in Matthew 15:22 And, behold, a woman of Canaan came out of the same coasts, and cried unto him, saying, Have mercy on me, O Lord, thou Son of David; my daughter is grievously vexed with a devil. 23 But he answered her not a word. And his disciples came and besought him, saying, Send her away; for she crieth after us. 24 But he answered and said, I am not sent but unto the lost sheep of the house of Israel. 25 Then came she and worshipped him, saying, Lord, help me. 26 But he answered and said, It is not meet to take the children’s bread, and to cast it to dogs. 27 And she said, Truth, Lord: yet the dogs eat of the crumbs which fall from their masters’ table. 28 Then Jesus answered and said unto her, O woman, great is thy faith: be it unto thee even as thou wilt. And her daughter was made whole from that very hour.Jesus tells a Canaanite woman asking for help that He was only sent to the Jews. God Initially had focused His Salvation, Healing, Redemption message through the Jews even because they were the least worthy of the nations to receive it even during the times of the Romans. While we do see that Jesus tells a Canaanite woman asking for help that He was presently only sent to the Jews he nevertheless healed her but eventually the Apostles preached to everyone as the Book of Acts even indicates. . Jesus was the fulfillment of the promises of the coming of the Messiah , Savior in the old Old Testament, given originally, primarily to Jews, it next was extended to include everyone. Something that most Jews now find rather offensive even today. “For you are a holy people unto the LORD your God: the LORD your God hath chosen you to be a special people unto himself, above all people that are upon the face of the earth. The LORD did not set his love upon you, nor choose you, because you were more in number than any people; for you were the fewest of all people: But because the LORD loved you, and because he would keep the oath which he had sworn unto your fathers…” (Deuteronomy 7:6-8). So then, are all Jews “saved” just because they are Jews? Of course not Jesus said, “I am the way, the truth, and the life; no one comes to the Father but by Me” (John 14:6). Acts 4 10 Be it known unto you all, and to all the people of Israel, that by the name of Jesus Christ of Nazareth, whom ye crucified, whom God raised from the dead, even by him doth this man stand here before you whole. 11 This is the stone which was set at nought of you builders, which is become the head of the corner. 12 Neither is there salvation in any other: for there is none other name under heaven given among men, whereby we must be saved. According to many Jews the Biblical, Christian concept of salvation from sin now has no equal in Judaism as Judaism falsely does not believe that man, by his nature, is evil or sinful and therefore believes that man has no need to be “saved” from an eternal damnation. In fact, most Jews today do not believe in a place of eternal punishment or a literal hell. When a Jew misses the mark and occasionally falls into the sin of failing to fulfill the laws of God, the belief is that he can obtain forgiveness through prayer, repentance and doing good deeds. Still the Bible, New Testament teaches that all of us, Jews and Gentiles, have “missed the mark” (Romans 3:23). All of us are under the consequences of sin, and “the wages of sin is death” (Romans 6:23). We are all in need of salvation from our sin; we are all in need of a Savior. The New Testament teaches that Jesus the Messiah is “the way, and the truth, and the life; no one comes to the Father” but through Him (John 14:6) And, most importantly, “there is salvation in no one else; for there is no other name under Heaven given among men by which it is necessary for us to be saved” (Acts 4:12). Matthew 28: 1 In the end of the sabbath, as it began to dawn toward the first day of the week, came Mary Magdalene and the other Mary to see the sepulchre. 2 And, behold, there was a great earthquake: for the angel of the Lord descended from heaven, and came and rolled back the stone from the door, and sat upon it. 3 His countenance was like lightning, and his raiment white as snow: 4 And for fear of him the keepers did shake, and became as dead men. 5 And the angel answered and said unto the women, Fear not ye: for I know that ye seek Jesus, which was crucified. 6 He is not here: for he is risen, as he said. Come, see the place where the Lord lay. 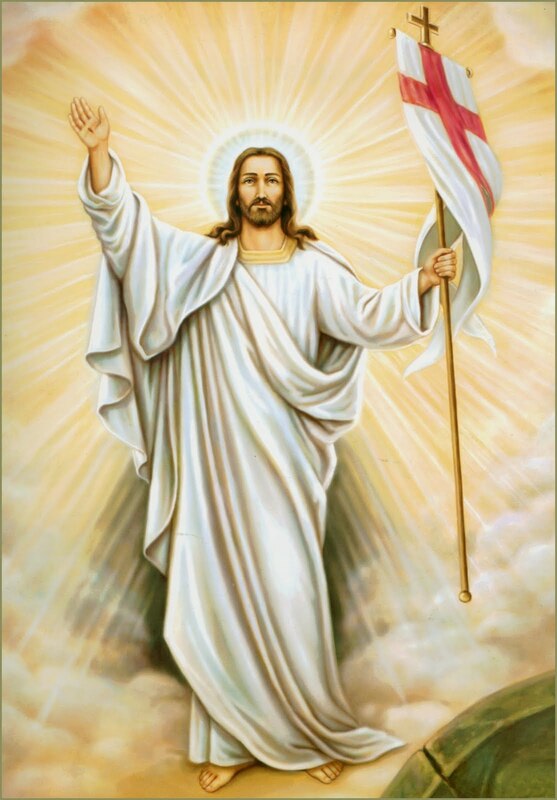 7 And go quickly, and tell his disciples that he is risen from the dead; and, behold, he goeth before you into Galilee; there shall ye see him: lo, I have told you. 8 And they departed quickly from the sepulchre with fear and great joy; and did run to bring his disciples word. 9 And as they went to tell his disciples, behold, Jesus met them, saying, All hail. And they came and held him by the feet, and worshipped him. 10 Then said Jesus unto them, Be not afraid: go tell my brethren that they go into Galilee, and there shall they see me. 11 Now when they were going, behold, some of the watch came into the city, and shewed unto the chief priests all the things that were done. 12 And when they were assembled with the elders, and had taken counsel, they gave large money unto the soldiers, 13 Saying, Say ye, His disciples came by night, and stole him away while we slept. 14 And if this come to the governor’s ears, we will persuade him, and secure you. 15 So they took the money, and did as they were taught: and this saying is commonly reported among the Jews until this day. 16 Then the eleven disciples went away into Galilee, into a mountain where Jesus had appointed them. 17 And when they saw him, they worshipped him: but some doubted. 18 And Jesus came and spake unto them, saying, All power is given unto me in heaven and in earth. 19 Go ye therefore, and teach all nations, baptizing them in the name of the Father, and of the Son, and of the Holy Ghost: 20 Teaching them to observe all things whatsoever I have commanded you: and, lo, I am with you alway, even unto the end of the world. Amen. Acts 28: 28 Be it known therefore unto you, that the salvation of God is sent unto the Gentiles, and that they will hear it. Ephesians 3: 19 And to know the love of Christ, which passeth knowledge, that ye might be filled with all the fulness of God. Now what Did Jesus also now Mean When He Said That He had Fulfilled The Law (in Matthew 5:17)? Does Matthew 5:17-19 say that Jesus ‘did away with the law’? (Verse 17) ‘Do not think that I came to destroy the Law or the Prophets. I did not come to destroy but to fulfil. (Verse 18) For assuredly, I say to you, till heaven and earth pass away, one jot or tittle will by no means pass from the law till all is fulfilled. (Verse 19) Whoever therefore breaks one of the least of these commandments, and teaches men so, shall be called least in the kingdom of heaven; but whoever does and teaches them, he shall be called great in the kingdom of heaven. Jesus Christ himself was the end of the law. The law itself was a “schoolmaster to bring us to Christ” (Gal. 3:24), but “after faith is come we are no longer under the schoolmaster.” The ‘Law and the Prophets’ which Jesus refers to in verse 17 is a clear reference to the Hebrew Bible – what we now call the Old Testament. This was – ‘The Law’ was the Torah (the 5 Books of Moses), The Prophets (self-explanatory) and the ‘Writings’ were the wisdom books (Psalms, Proverbs, Ecclesiastes etc). So this is a reference to the validity of the Old Testament: the Old Testament it is and aways will be divinely-inspired Scripture! Jesus is seriously challenge the Jew’s traditional understanding of the commandments and of the law in general (Matthew 5:21-48) in the six famous ‘You have heard…but I say…’ type-statements, but – first of all – but Jesus still had wanted to ensure that the disciples correctly understood that the Old Testament still held a valid place in the Scriptures. Jesus was concerned that we should all continue to learn about, and to be inspired, by people like Abraham, Isaac, Jacob, Joseph, Moses and the Prophets – indeed so many things in the Old Testament continually point to Jesus. So the Old Covenant is be dead, but the Old Testament must still not be put totaly aside. Some mistakenly think that this statement addresses whether Christians should still keep the law but Jesus is talking about the validity of the Hebrew Scriptures – He is not talking about obedience to it all still Failure to understand this point has caused much confusion. So despite everything, the Old Testament Scriptures must continue to be still all considered as ‘Holy Writ’. So when Jesus says, ‘Whoever therefore breaks one of the least of these commandments…’ is He necessarily referring to Old Covenant law, or to the Ten Commandments specifically? Jesus is simply discussing whether or not one is obedient toward God and to His revelation to Mankind; The main point is: are we willing to obey God and walk in faith towards all personal divine divine commands and instructions and admonitions by the Holy Spirit to us – even what may appear to be more minor ones? This is what Jesus’ central point is here! Jesus now launches into an attack on the scribes and Pharisees plainly stating that their “righteousness” would be insufficient for them to enter the kingdom of Heaven! (Verse 20). As Jesus is determined to point out the insufficiency of any code which is of the letter, rather than of the Spirit. The law of God was a wonderful law and it was a great ethical standard, but Jesus explained to the disciples that for Christians it even now did not go far enough. For those in Christ, a true loving righteousness of the heart and being totally led, taught by the holy Spirit, was His standard; which even goes beyond any written code. “When Jesus said, ‘You have heard that it was said by those of old, ‘You shall not murder….’ (Verse 21), Who had said that? Why, of course He is quoting the sixth commandment (Exodus 20:13)! Then He makes it plain that hatred and anger are the real evils here (Verse 22). In this way the point is made that while the commandment is good, but it did not go far enough. 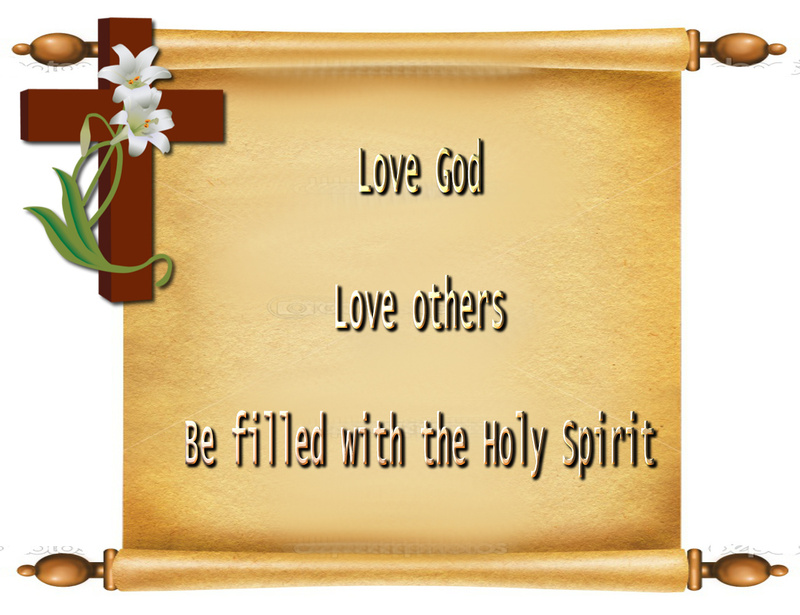 The disciples of Jesus were to be obedient in the spirit – not purely the letter! Then, in verse 27, Jesus takes the example of the commandment against adultery (Exodus 20:14). Again, He wishes to magnify the law by showing the insufficiency of the command against adultery. Many might find it entirely possible never to commit adultery, but Jesus makes it plain that those who continually lust after beautiful women have already been guilty of adultery (Verse 28)! The glorious Law of Christ goes beyond the code of the Ten Commandments, it is the great moral and spiritual law which the commandments were based upon – it is this law, incapable of being set down as a code since it concerns the Holy Spirit and the heart, which the disciples of Jesus were to follow! It is very interesting to note that how many even professing Christians preachers cannot talk clearly, openly about being filled with the Holy Spirit of God cause he even is not in their life yet..
Matthew, as is well-known, had a strong agenda to keep the Jews on-board and addressed his gospel account primarily to them. He wanted to win their support and to win them for Christ. While Matthew quotes this: ‘But He answered and said, I am not sent except to the lost sheep of the house of Israel.’ (Matthew 15:24). In complete contrast, the gospel of John describes Jesus as ‘the Saviour of the World’ in John 4:42 and John repeats this comment in 1 John 4:14. John Like apostle Luke, were committed to a world-wide scenario beyond the small world of the Jews. Not a single word here or anywhere else in the New Testament places the followers of Jesus Christ back under any code of law – the Law of Christ transcends all such codes!! Romans 7:1 Know ye not, brethren, (for I speak to them that know the law,) how that the law hath dominion over a man as long as he liveth? 2 For the woman which hath an husband is bound by the law to her husband so long as he liveth; but if the husband be dead, she is loosed from the law of her husband. 3 So then if, while her husband liveth, she be married to another man, she shall be called an adulteress: but if her husband be dead, she is free from that law; so that she is no adulteress, though she be married to another man. 4 Wherefore, my brethren, ye also are become dead to the law by the body of Christ; that ye should be married to another, even to him who is raised from the dead, that we should bring forth fruit unto God. 5 For when we were in the flesh, the motions of sins, which were by the law, did work in our members to bring forth fruit unto death.6 But now we are delivered from the law, that being dead wherein we were held; that we should serve in newness of spirit, and not in the oldness of the letter. Jesus He never clearly outlined during His earthly ministry that His followers must continue to observe and live within Old Covenant law, nor did He warn about the consequences of neglecting this..
No one (except for Jesus) has ever succeeded in keeping the law (Acts 15:10)! The law was delivered to Israel – One nation of people (Exodus 20:1-2; Deuteronomy 4:1-2). It is One Law containing the whole package of rituals and sacrifices as well as the Ten Commandments (Galatians 3:10-11; Galatians 5:3). The law cannot bring salvation (Romans 3:20; Galatians 2:8-10, 16; Galatians 3:1-5). As Paul makes clear, the law’s job was to act as a schoolmaster in order to bring us to Christ (Galatians 4:1-7). The law can also be compared to a mirror which makes us look at ourselves and see how wretched we are. In this manner, the law actually brings condemnation (Romans 4:13-15; Romans 7:7-12; Romans 5:20-21). to ensure that our personal repentance next is truly real and genuine! Through our schoolmaster, the law, and mirror we do learn that we are headed solely for Hell! But then we learn of the work of Christ upon the cross and discover that we have a Saviour! – Our Lord Jesus Christ, God who now has already paid the penalty of our sins and the sins of all who will appropriate Him in faith! Here is our solution!! 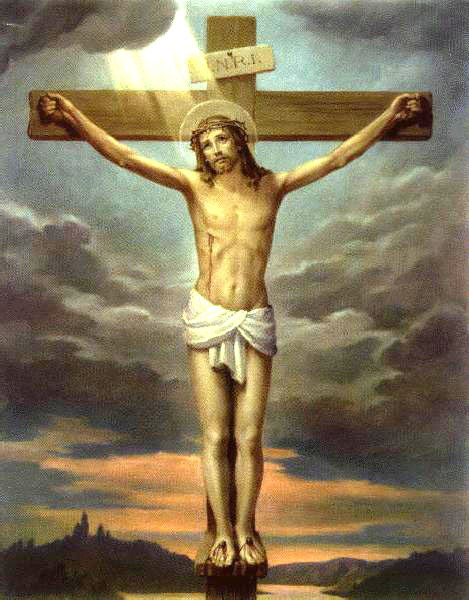 We find that God loved us before we even knew Him, before we were born, created even, from the foundations of the earth even and He God now next has already died upon the cross as our substitute to allow us to fully be alive, live in Him even by his Holy Spirit (as any sin must invariably lead to our personal physical and spiritual death)! Certainly even the Ten Commandments are a good initial ethical yardstick – but (as Jesus plainly shows) they don’t go far enough nor do they help you to keep them . The standards which we must aim for are above and beyond the ten ‘do’s’ and ‘don’ts’ of those commands. The new Holy Spirit or Christ’s righteousness which we start to find in our lives is truly not ours but Christ’s as the Holy Spirit dwells in us . Matthew (chapters 5-7) clearly challenges not only the previous Jewish interpretation of law but – clearly – also aspects of any law which comprises simply a list of ‘do’s and don’t’s’ – our Lord also had wanted to firstly clarify exact the position of the Hebrew Bible ( Old Testament) and the Holy Spirit of God. He tells us that as Christians standing now under the grace of Christ and the New Covenant – we will understand the importance still of continually obeying the Holy Spirit, rather than merely the letter of the – something which Jesus was especially undetook even in pains to ensure that we understand). Any concept that Matthew 5:17-19 that now somehow or diabolically places any Christians back under the Torah – or even any part of it – is completely unbiblical, as confirmed by the Apostle Paul in the Book of Romans and and in the Book of Hebrews. Explains why many Jews falsely still hate Apostle Paul today . IT WAS IN REVELATION, CHAPTER 19, THAT WE READ JOHN’S MAGNIFICENT, MARVELLOUS DESCRIPTION OF JESUS CHRIST’S COMING WITH THE HOSTS OF HEAVEN to defeat & destroy the Antichrist & his fiendish forces at the awesome Battle of Armageddon. Well, it’s obvious that many of the unsaved are going to survive the Wrath of God & the Battle of Armageddon & live on into the Millennium! Granted, as the Lord must be extra merciful to them to allow them to live through all that! The thousand years appears nowhere in the sixty-six books, 1,189 chapters, 31,173 verses of the Bible except in this one passage where it occurs six times in six consecutive verses. NOW MANY PEOPLE SPECULATE WHAT WILL HAPPEN ON EARTH AND WHO WILL DWELL THERE.. WE NEED TO STILL DWELL ONLY WHAT THE SCRIPTURES SPECIFCALY DO TELL US. God has already fulfilled the personal aspects of the Abrahamic covenant; Abraham did go to the Promised Land, he did have many descendants, and he is the forefather of many nations. Several hundred years after Abraham, Joshua led the Israelites to claim ownership of the Promised Land. Still some promises of God are still not fulfilled.. AND SUPPOSEDLY THEY NEXT WILL BE FULLFILED DURING THE MILLENNIUM? Rev 20:4 And I saw thrones, and they sat upon them, and judgment was given unto them: and I saw the souls of them that were beheaded for the witness of Jesus, and for the word of God, and which had not worshipped the beast, neither his image, neither had received his mark upon their foreheads, or in their hands; and they ( alone) lived and reigned with Christ a thousand years. GOD IS GOING TO GIVE THEM, THOSE WHO DESERVE IT & ARE WORTHY, ANOTHER CHANCE? The Lord will set up His Kingdom here on Earth for a thousand years to try to salvage what He can & who He can & give them another chance, or perhaps their first chance, to see the actual Kingdom of God & hear His voice & His laws & His rules & His Words & repent!–To believe & receive & repent & accept Him as their King! As you can see from these words of GOD, the Old Testament scriptures speak in no uncertain terms about the future glorious and literal reign of Messiah on Earth. The Christian and some Jewish people were, and still are, anticipating it. Matthew 25:31-46,When the Son of Man comes in his glory, and all the holy angels with him, then he will sit on the throne of his glory. All the nations will be gathered before him, and he will separate them one from another, as a shepherd divides his sheep from the goats. And he will set the sheep on his right hand, but the goats on the left. Then the King will say to those on his right hand, ‘Come, you blessed of my Father, inherit the kingdom prepared for you from the foundation of the world: for I was hungry and you gave me food; I was thirsty and you gave me drink; I was a stranger and you took me in; I was naked and you clothed me; I was sick and you visited me; I was in prison and you came to me.’ Then the righteous will answer him, saying, ‘Lord, when did we see you hungry and feed you, or thirsty and give you drink? When did we see you a stranger and take you in, or naked and clothe you? Or when did we see you sick, or in prison, and come to you? And the King will answer and say to them, ‘Assuredly, I say to you, inasmuch as you did it to one of the least of these my brethren, you did it to me. Then he will also say to those on the left hand, ‘Depart from me, you cursed, into the everlasting fire prepared for the devil and his angels: ‘for I was hungry and you gave me no food; I was thirsty and you gave me no drink; I was a stranger and you did not take me in, naked and you did not clothe me, sick and in prison and you did not visit me.’ Then they also will answer him, saying, ‘Lord, when did we see you hungry or thirsty or a stranger or naked or sick or in prison, and did not minister to you? Then he will answer them, saying, ‘Assuredly, I say to you, inasmuch as you did not do it to one of the least of these, you did not do it to me.’ And these will go away into everlasting punishment, but the righteous into eternal life. First Corinthians 15:25-26,For he must reign till he has put all enemies under his feet. The last enemy that will be destroyed is death. John 3:36, He who believes in the Son has everlasting life; and he who does not believe the Son shall not see life, but the wrath of God abides on him. Second Corinthians 5:21 says, For he made him who knew no sin to be sin for us, that we might become the righteousness of God in him. Romans 8:1 There is therefore now no condemnation to those who are in Christ Jesus, who do not walk according to the flesh, but according to the Spirit. And he said to me, ’It is done! I am the Alpha and the Omega, the Beginning and the End. I will give of the fountain of the water of life freely to him who thirsts. He who overcomes shall inherit all things, and I will be his God and he shall be my son. But the cowardly, unbelieving, abominable, murderers, sexually immoral, sorcerers, idolaters, and all liars shall have their part in the lake which burns with fire and brimstone, which is the second death.